I LOVE celebrating the 100th Day of School. I'm not sure where the idea came from, but whoever thought it up is s GENIUS! It is such a memorable day for kids. 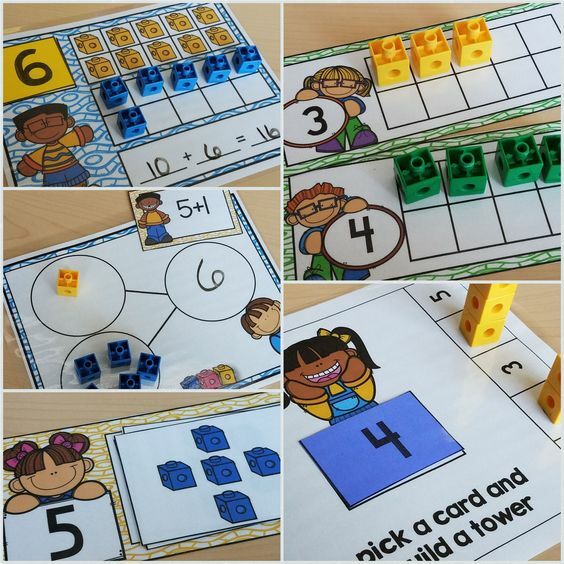 As teachers, we can come up with fun, new ways to teach the standards. I LOVE this anchor chart for reading 100 books. I have students read to themselves, buddy read, listening center, and teacher stories. If I read a book, I let all of my students record the title because they all heard the story. If they buddy read, both students write down both books. It really isn't hard to get the class to read 100 Books. My Class LOVED these little books to write 100 words. I also created cards the adorable 100 Cake cards with the first 100 Fry Words. For this activity, in a small group, students pulled a card out of the bucket and wrote it down. Most kids wrote 20 words or less. Next year, I will probably have them write 20 words a day for 5 days, ending on the 100th day. All the kids read 100 words, in a small group with a parent. 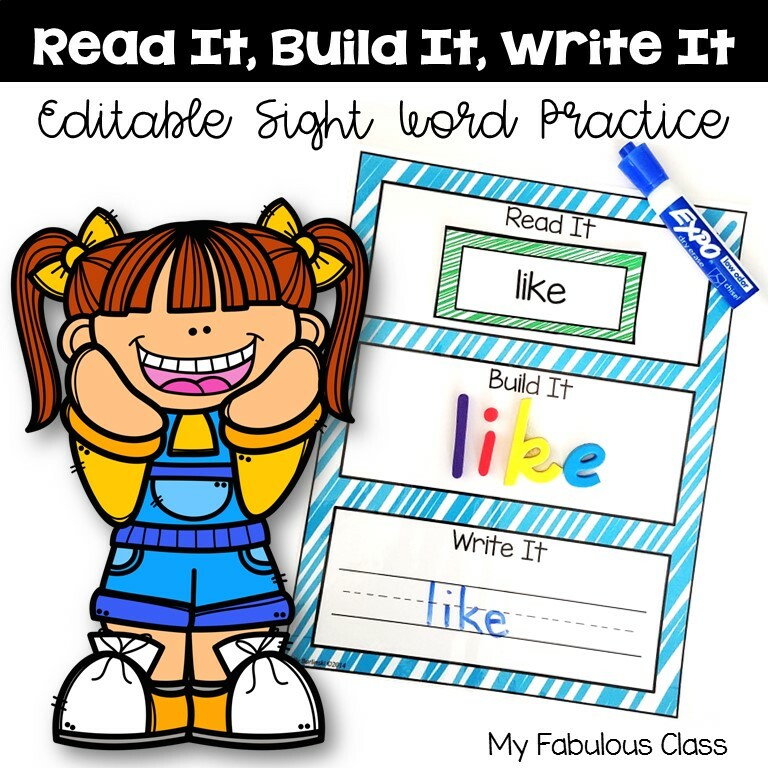 I LOVE these books because the kids can take them home and practice reading the words at home. It also includes the first 100 Fry words. 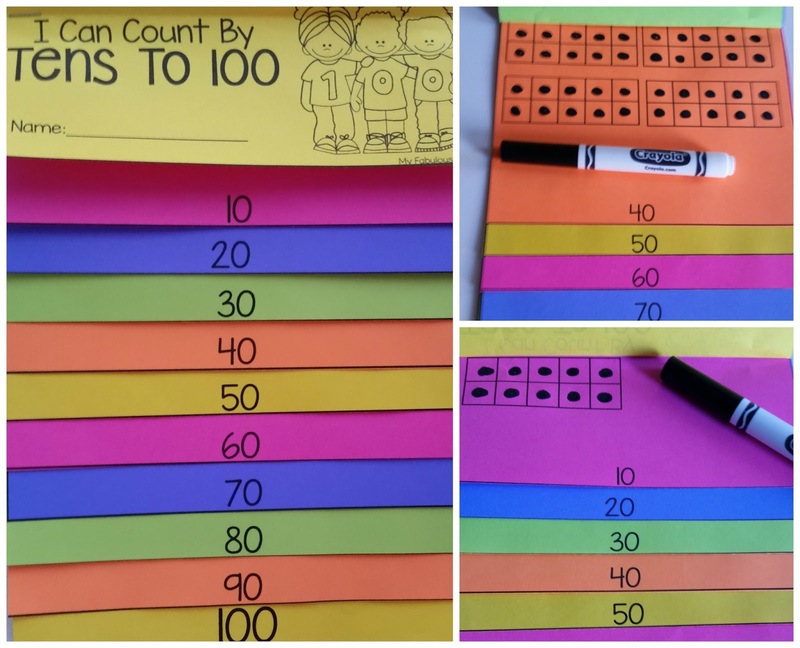 The kids really liked this flipbook for counting by 10's to 100. 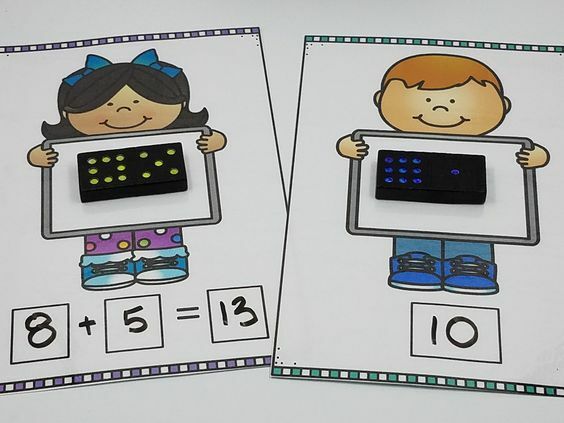 Each page has ten frames for kids to fill out. By the time they get to the last page, they are 10 10 frames. 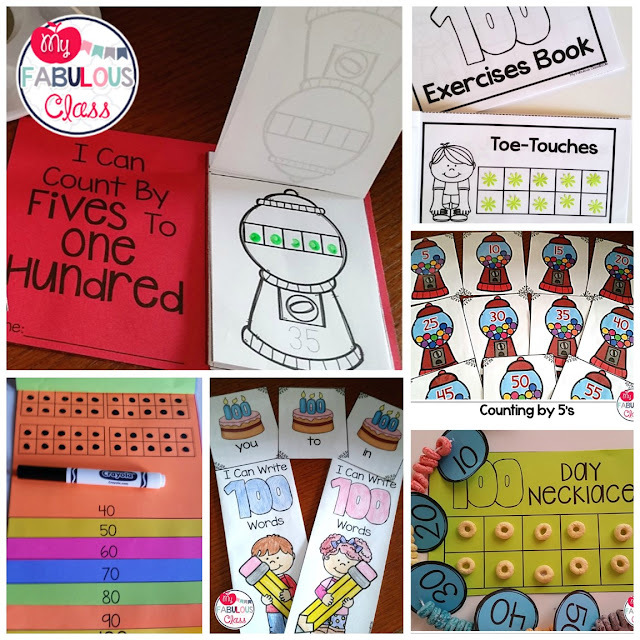 How cute are these gumball machine counting by 5's cards and flipbook? For the counting by 5 flip book, I had students fill in the five frames with q-tips. Everything is more fun with a q-tip, right? This was my FAVORITE activity. 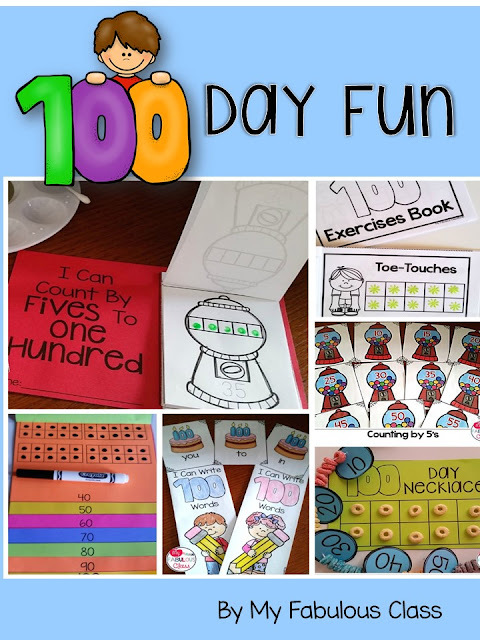 Each student also got a 100th Day Workout Book. This was the BEST BRAIN BREAK. Through out the day, I called out different activities, such as toe touches or jumping jacks. Students stopped what they were doing, did ten exercises and then recorded it in their book. When the class started to get a little crazy, this provided a much needed break. LOVED IT! 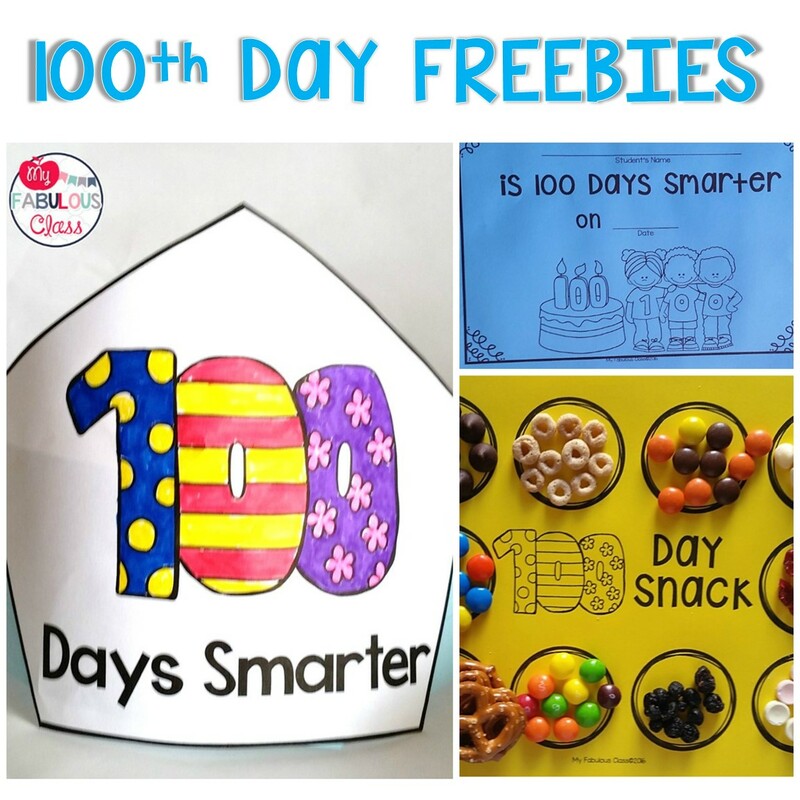 I ask each student to bring in a small snack to share.You can get this 100th Day snack organizer FREE HERE. What 100th day would be complete without a fruit loop necklace? Okay, this is the second year I have done this and it is NOT my favorite. I have tried string and yarn. Both seem to get frayed on the fruit loops. My parent helper kept having to cut the ends. Next year, I will try that stretchy string. What 100th Day would be complete without a 100th Day hat? I also created certificates to celebrate the 100th day. You can get all 3 of these FREE HERE. 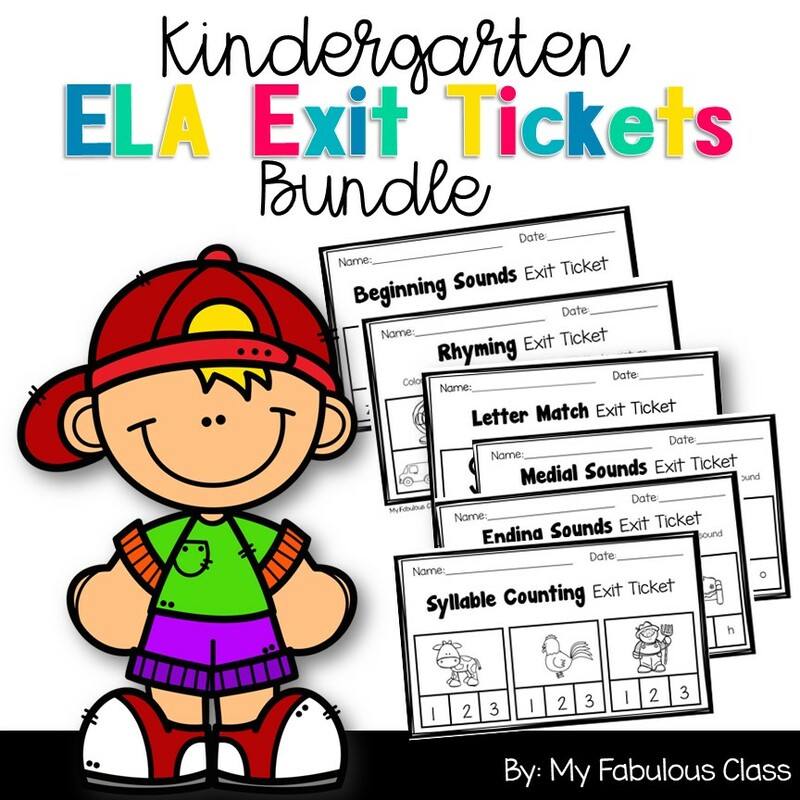 You can get all 14 activities, 100 pages, ON SALE for only $4!!!! Even if you miss the sale, it is only $6. This forever low price is my way of wishing you all a HAPPY 100th DAY!! !